The point-and-click adventure genre is no longer the powerhouse it once was. Iconic titles such as Monkey Island, Day of the Tentacle and Grim Fandango were once beacons of story-telling finesse and mind-bending puzzles, but the world has since moved on and those days are long gone. It’s because of this shift in paradigms that Double Fine’s attempt to re-invent the genre had to pass through Steam’s kick-starter programme before the concept could be crafted into a complete game. With Tim Schafer — of Monkey Island fame — at the helm, the game quickly smashed its financial target and the wheels of production were set in motion. The result was Broken Age; a tale of two characters, Vella Tartine and Shay Volta, desperate to escape their respective fates. While the kick-starter was a glorious success, the production process wasn’t so smooth. 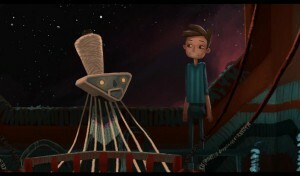 Broken Age was initially meant to be released as a complete game, but was later split into two parts, with the latter available as a free download once development is completed. While certain games, such as TellTale’s The Walking Dead are built to be episodic, it’s harder to ignore the fact that Broken Age is not yet a finished game. While the production values haven’t taken a hit — the art style is gorgeous and the sound design compelling — the fact remains that the story will remain unsatisfyingly incomplete until the concluding chapter is released. Does this mean that Broken Age should be avoided, at least until the full-game is released? The answer to that question is a resounding “no”. Broken Age’s first act does enough to convince that the resolution will be worth the wait and all but the most impatient should sample the joys it has to offer. The primary characteristic of any point-and-click adventure game is its story and the writing for Broken Age is superb. It offers a seamless blend of laugh-out-loud humour and subtle poignancy and depth. It’s hard not to empathise with Vella and Shay as they struggle through their respective adventures and the quasi-ending leaves you desperate for more. The puzzles that the game throws at you are challenging without being frustrating — you’ll never stumble upon a solution that doesn’t follow a logical path. While not as mind-melting as games of yore, point-and-click veterans should still be satisfied, while newcomers won’t be left behind. If for any reason you do find yourself stuck on a particular puzzle, you can simply switch characters in order to break the monotony and give yourself a fresh outlook on things. The aesthetics of the game are beautiful, with a colourful art-style and animations that bring the world to life. 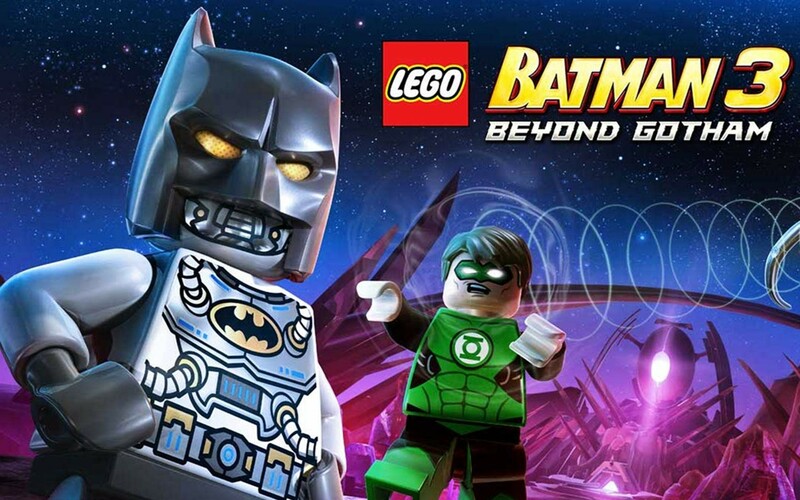 Along with a voice-cast that includes the talents of Elijah Wood, Jack Black and Jennifer Hale, the worlds that Vella and Shay inhabit feel simultaneously authentic and fantastical. It also helps that the menu interface is unobtrusive, although it can also be a little clunky at times. 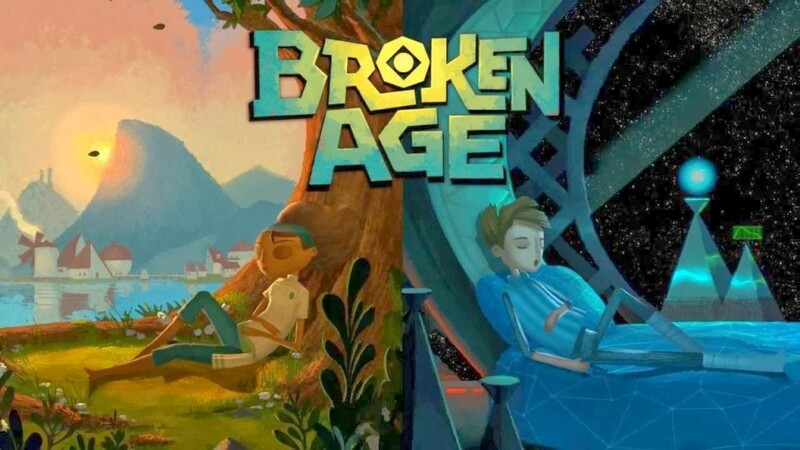 Most importantly, however, is the fact that Broken Age doesn’t only do the point-and-click genre justice, but it modernises it, proving that the genre can survive in the present generation of gaming.